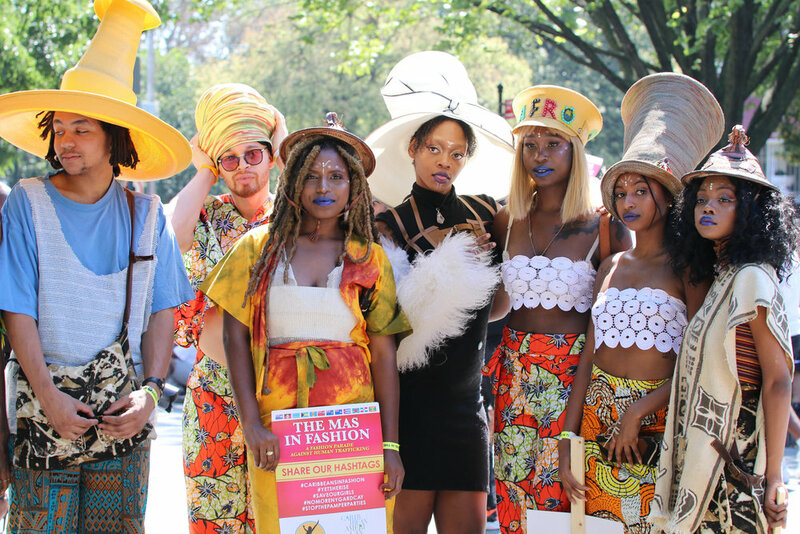 As New York Fashion Week Fall/Winter 2019 attracts the attention of millions, a fund-raiser in the name of Caribbean fashion and designers is coming to the city next month. The Caribbean American Fashion Exchange reception, a "Caribbeans in Fashion" meet-and-greet to benefit the CAFE (Caribbean American Fashion Exchange) Scholarship Fund — will be held on Feb. 10 at Pineapple GDNYC, 35 W. 38th St. in Manhattan, from 6 p.m. to 9 p.m. The scholarship fund — established at the prestigious Fashion Institute of Technology — helps students who live in the Caribbean region and who are studying at FIT. The scholarship fund also supports the Caribbean presence in the fashion industry, said Janice Lawrence Clarke of CAFE and JLC Productions. Through special events, the CAFE initiative works to strengthen, develop and promote the Caribbean’s fashion industry. For information on the fund-raiser, visit bit.ly/CAFEscholarship2019. JLC PR offers the following programs to those interested in expanding their brands and/or individual etiquette per industry standards, and benefit from the experience of other industry professionals. Click each link below to find out more about each program. JLC PR offers many different fashion-related services to complement your needs. From project/event consultation to fashion show coordination, we provide all you need to produce your next event. Behind The Seams is a free, bi-weekly Internet-based news service for the sewn products industry. The news service contains the latest information from the sewn products industry and news from suppliers to the industry, along with a listing of upcoming events. See more here. CAFE @ NYFW - with Fernando Bernierd, KLASS Santana and designers: Milagros Batista and Edwin Bellevue and models. CAFE @ NYFW - JLC with designer OliviaB, Cayman Islands and Dianne Roberts, Esq. CAFE @ NYFW - With Edwin Bellevue of So Frekan and his models. CAFE @ NYFW - Dianne Roberts, Esq. CAFE @ NYFW - Babsie! On the Bell! The Mas In Fashion - A Fashion Parade. Malik Fraternity. Guests at Third Tuesday CAFE Fashion Culture Salon. Third Tuesday CAFE Fashion Culture Salon. Design by MUFFETS Closet. Mr. LEE performing at Third Tuesday CAFE Fashion Culture Salon.